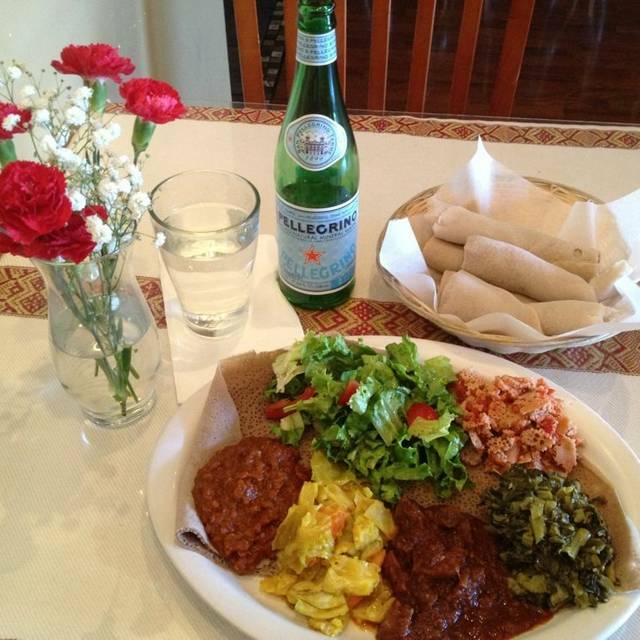 ABESHA Ethiopian Cuisine serves hearty and exotic fare in a casual, cozy environment. 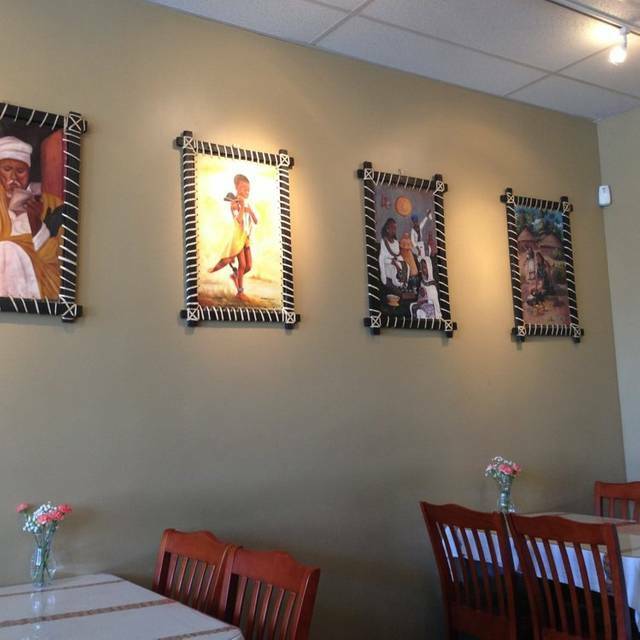 The quaint dining area is decorated with colorful Ethiopian-inspired artwork, and traditional African background music is played over the speakers. 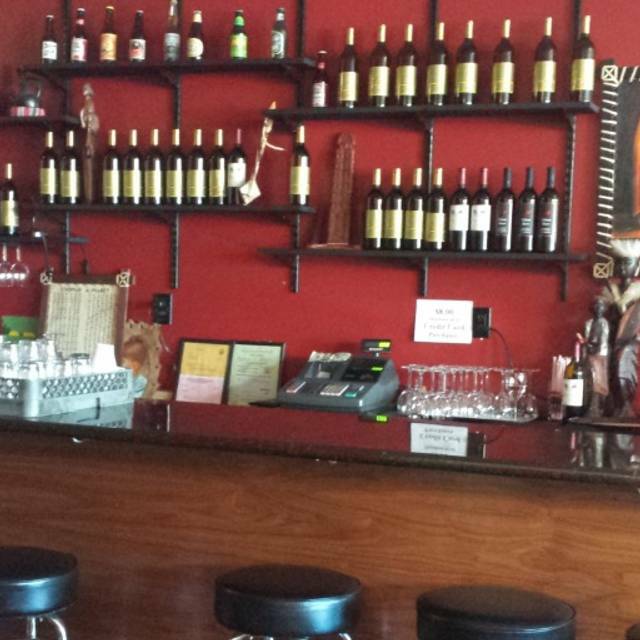 The bar serves beer and wine to accompany the menu options. 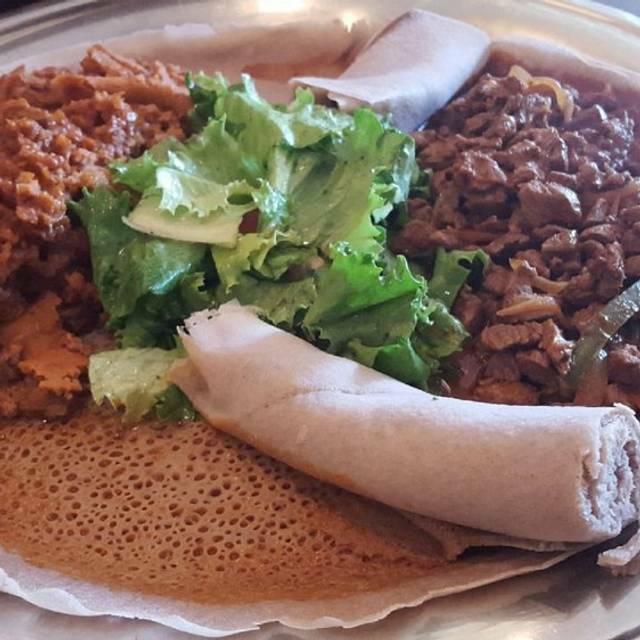 ABESHA has a full menu with Ethiopian favorites. Enjoy healthy dishes like the potatoes, carrots and cabbage, as well as the collard greens. The cabbage and potato curry is another popular entree, as is the gommen and beef dish. 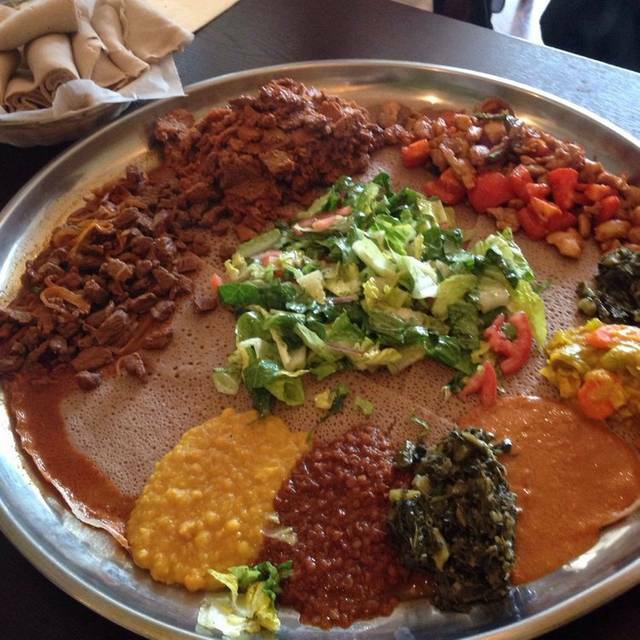 ABESHA also serves fresh, hot coffee and Ethiopian beers as part of its beverage selection. When dining at the restaurant isn’t convenient, take advantage of the takeout and catering services to enjoy these flavors nearly anywhere. Great restaurant. Not too fancy but the food doesn’t suffer at all from that, it’s not too noisy and the price is lower than you’d pay for 2 at other places where the food isn’t better. We’ll go back. Great food, friendly service. We ordered the fish tibs, a lentil wot and a beef wot. All were tasty & pleasantly spicy. Great food and great people, would recommend to anyone. Good quality meal and a very fair price. The food was quite tasty. We had the fish and also the meat combination. Scrumptious. The service was also good. Will visit again. 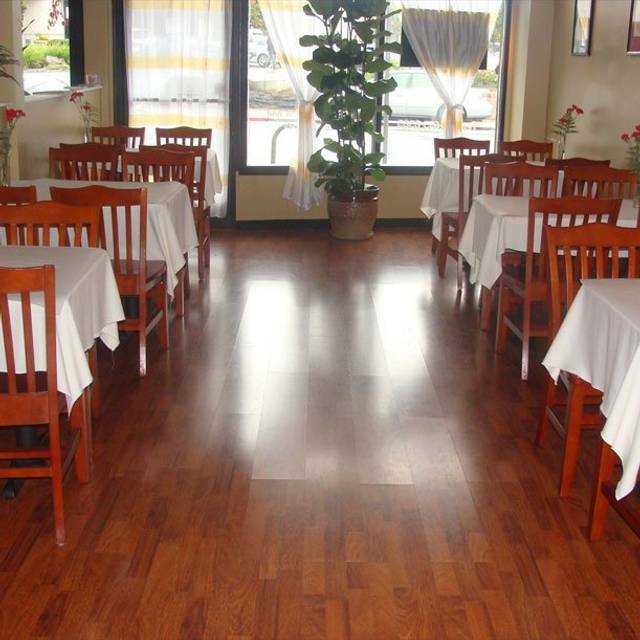 Cute little Ethiopian restaurant, clean inside and outside. Their food is very good, they have plenty of meat and veggie dishes. I frequent dine at Abesha Restaurant and I recommend it highly. Cheers. First time trying Ethiopian food. Really enjoyed it. Wasn't expecting the bread to be crepe like and sourdough in taste. The meat combo was excellent. First time eating Ethiopian food, so I can't compare. My friend said the lamb dish was good, but the veggie dishes were not great. Wanted to try this place for a while and I loved it! Great food at a great price. This place is so good! We were a party of 9 and we all had a nice time. Easy to converse, not noisy everything delicious and plenty of injera! Brought senior participants for an outing and they love the food, service and the place suggesting on coming back. The serving portion is right for the price. Sam is an excellent host and very accommodating. I will definitely recommend this place to my friends. Parking is tough but manageable.